Home » Technology » What is Hyundai Smart Sense? What is Hyundai Smart Sense? First talked about in the 2018 Hyundai Kona, Hyundai Smart Sense was further developed and detailed for the 2019 Hyundai Santa Fe that was just unveiled two days ago. We wanted to dive back into the different technologies that come as a part of this suite of features, especially considering they’ve been expanded for the all-new crossover. Features that help to mitigate collisions include Forward Collision-Avoidance Assist, Blind-Spot Collision Warning, and Lane Keeping Assist. It also includes the visibility-enhancing High Beam Assist, the first-ever Driver Attention Warning, and the advanced Smart Cruise Control with Stop & Go. Finally, it includes the brand-new feature that was on display in one of the ads we shared on Monday, Safe Exit Assist. It prevents a door from being opened while a car is coming, to avoid your door getting ripped off or something even worse. That brings us to features that make parking both easier and safer. 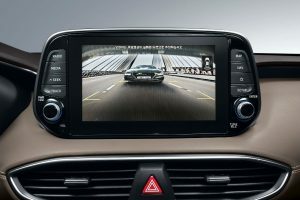 First of all, the more generic technologies, like Rear Cross-Traffic Collision-Avoidance Assist and the Rear-View Monitor. 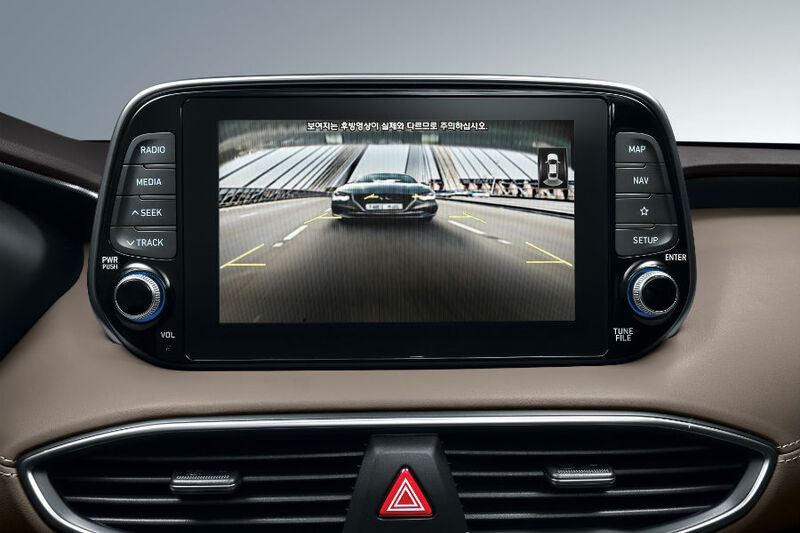 But our RVM is enhanced with Parking Guidance and tailgate safe-open guide and is also a high-definition camera. There is also a Parking Distance Warning and an Around View monitor deliver an even greater sense of confidence when parking. Hyundai offers plenty of other great safety features that aren’t a part of Smart Sense as well. From obvious features like seatbelts and airbags to other the basic features like ABS, and even more advanced ones like Rear Seat Occupant Alert, which reminds drivers that there is someone in the back seat, whether a young child or a pet. You might think you could never forget that your children or pets are in the back seat, but sometimes our minds get foggy. If we hear any more details about Hyundai Smart Sense or its features, we’ll be sure to fill you in right here on the Cocoa Hyundai blog! Is Hyundai developing a completely digital key? Can you start your car with your fingerprint? This entry was posted on Friday, February 23rd, 2018 at 6:13 pm	and is filed under Technology. You can follow any responses to this entry through the RSS 2.0 feed. You can skip to the end and leave a response. Pinging is currently not allowed. Which Hyundai vehicle has the best interior? What’s new in the 2020 Hyundai Sonata?